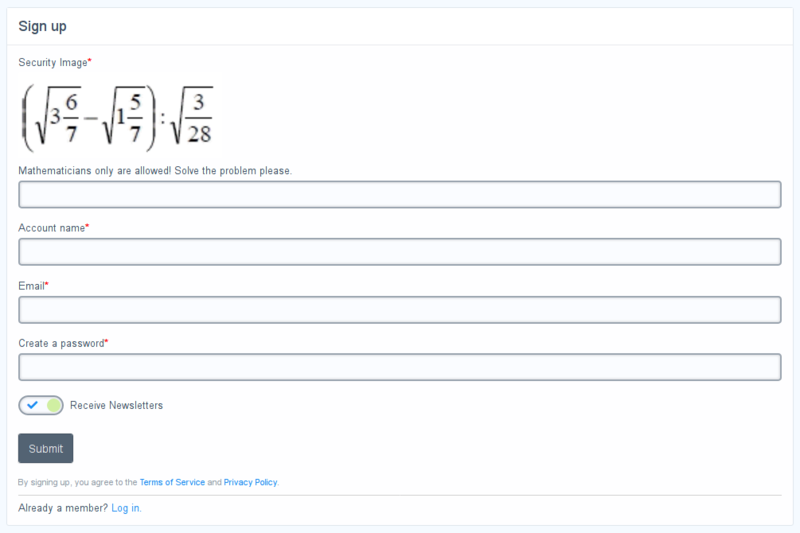 This module is a replacement to the Captcha field on an entire site. It makes it really easy for people to pass the captcha check while almost impossible for bots to do the same. So no more struggling for your members while trying to solve google's recaptcha puzzles. And no more those bots which are smart enough to pass google's recaptcha. 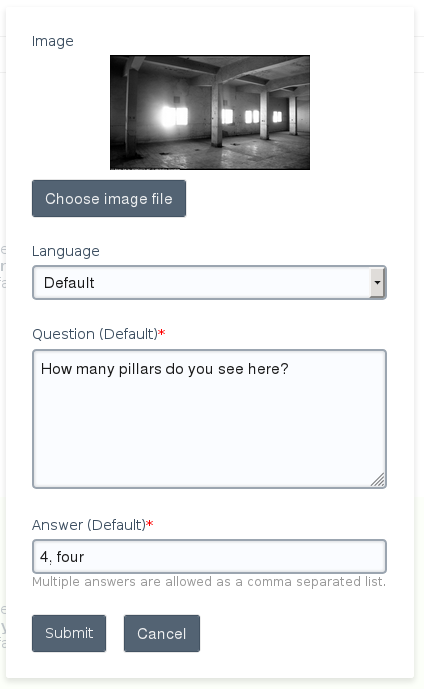 It allows you to upload any image with a question that only human can answer. 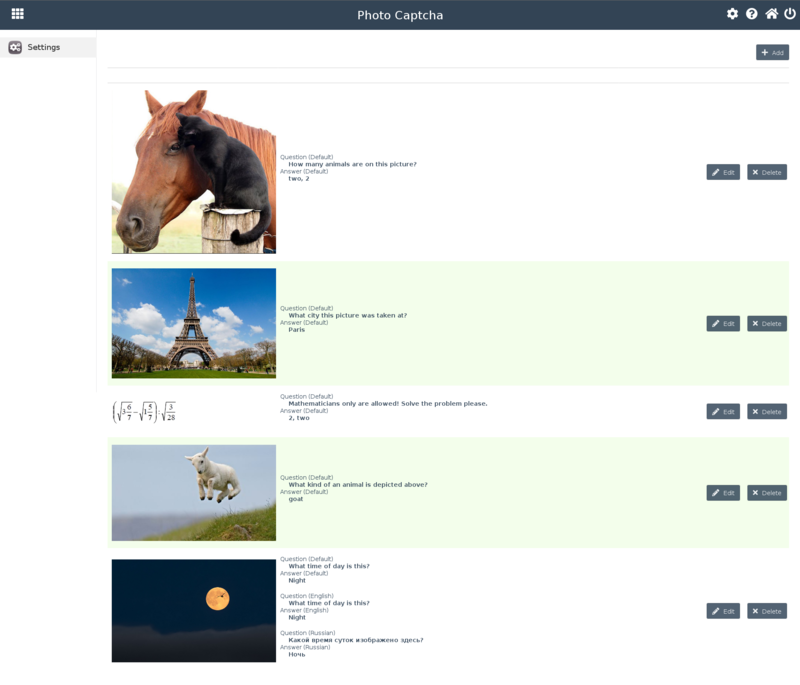 It also supports multiple variants of correct answers and multilingual sites with any number of languages (displays the question text in an appropriate language). For example you can provide an image with an Eiffel Tower depicted on it and provide a question "What city this photo was taken at?". Pretty easy to answer for any human. And at the same time a bot must be smart nearly as a human to be able to answer this. It supports even animated GIFs. So as an even more advanced example you can upload an animated GIF of some pretty basic math problem (lets say "2 plus 6 equals to ?" - this problem could be easily solved by almost anyone but not by a bot, because a bot will not be able to properly parse it.